But this time, I was not impressed. Coming from an exhausting bus ride from Phnom Penh, Cambodia, I was beyond excited and ready for Vietnam. 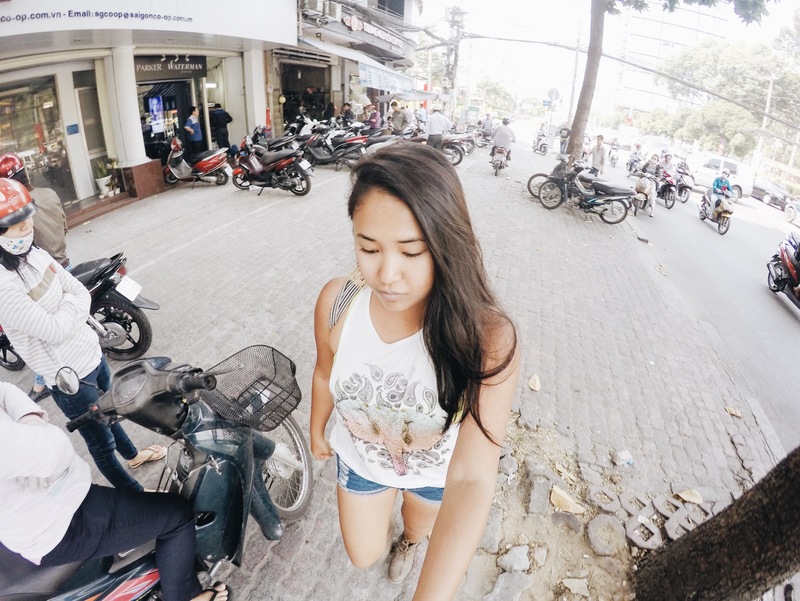 I loved Cambodia– all gritty corners of it, but I was ready for familiarity. I saved Vietnam for last in my backpacking itinerary not only for convenient reasons, but because it already has a special place in my heart. 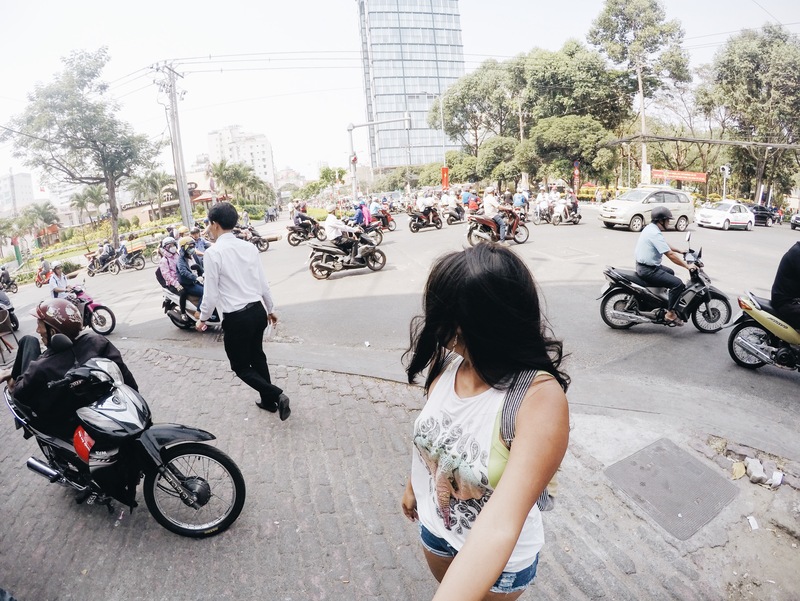 Vietnam has set my standards high, and maybe it was my fault for setting my expectations the way I did, but Saigon… she broke my heart a little. Right on my first half hour in the city, I was scammed. Blatantly, shamelessly, and poorly scammed by a driver. I could have lost more, but I couldn’t seem to shake this experience because well… I felt so foolish. What should have been a $2 ride ended up being $20, and the truth is, I wasn’t even mad about the money. I was mad for being victimized. I felt stupid, and really, I should have know better. I cried upon reaching my hostel, and sadly, I let this experience become a hindrance to my excitement for the city. All of a sudden, I couldn’t wait to get out of it. My excitement has turned into resentment. But although I was suffering from this heartbreak, it wasn’t enough to keep my cooped up in my capsule bed. I’ve always been mind over matter, so I thought there was only one way to get over this foolishness. Beer. I needed beer. 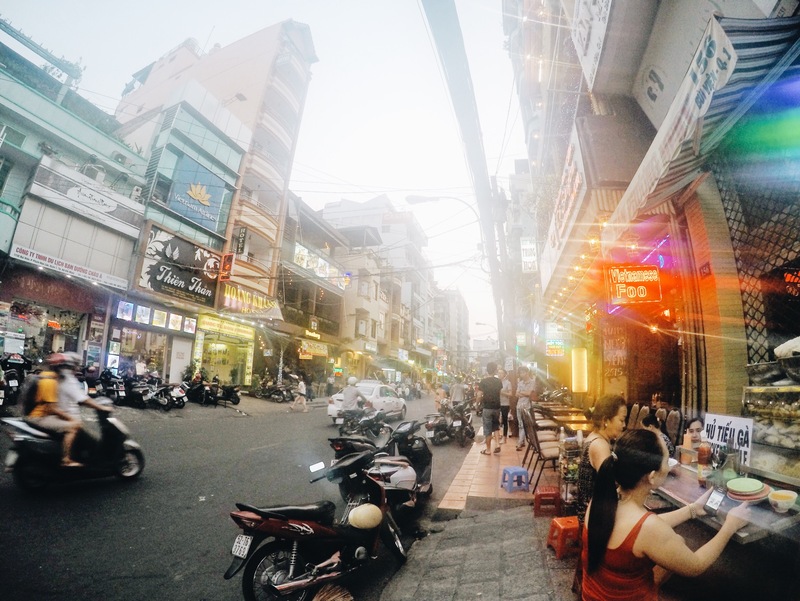 And as I sat with my beer with a local, I was slowly forgetting the damage Saigon has done (to me and my pocket…because honestly, $20 is a big blow). She told me about her heartache too because her girlfriend won’t take her back anymore. And I told her about my little taxi scam. She apologized to me, and I felt her embarrassment over her very own city. It felt nice to have her sympathy. She told me that she hopes this doesn’t dictate my feelings over Saigon because the city, despite the chaos, she said, still is a beautiful place with a unique personality. I told her it doesn’t generalize the way I feel about Saigon. But I lied. I wouldn’t admit it to myself then but I’m pretty sure I’ve already made up my mind. No, Saigon. I’m just not that into you. Although many expats I met talked about how Saigon might just be the best city to live in Vietnam, I couldn’t even last a couple of days. I felt threatened as I walked around the streets. Could it be true? Could the negative things I’ve heard about Saigon that I always assumed to be made by people with just sheer bad luck, absolutely happen to me as well? With fear in mind, I kept my guard up, and I didn’t trust anyone. Although I’ve met some really nice people, it was too late. I’ve barricaded myself from HCMC and no amount of general kindness will change that. And you know what? That was probably where it went wrong. The fact that I couldn’t give it another chance is exactly what gave me this state of mind. I mean, if I could have changed my attitude and disposition about it even just by a little, I think maybe, just maybe, my experience in Saigon would have been a lot more positive. Maybe I wouldn’t have been played at a nail salon like I did. Maybe I would have come across more friendlier people. Maybe I would have taken out my camera a lot more to take photos. Maybe if I just stopped being a baby, I would have experienced Saigon more, period. It was the way the city made me feel. Foolish. Dumb. Victimized. Every little thing I told myself I wouldn’t allow to happen, basically did in one short taxi ride. It wasn’t that he ripped me off, but the way he lied to me. The way I have sort of failed myself. How idiotic it made me feel. I didn’t even mind that people weren’t as friendly as they were to me up north, but it was just the fact that I couldn’t seem to connect with anyone. Feeling disconnected from a foreign place where I’m completely anonymous was one of the emptiest feelings ever. But you know what I learned here? You can’t force the chemistry between a city and yourself. It’s either there, or it’s not. And the truth is with Saigon, the chemistry just wasn’t there to begin with. Was it that bad taxi ride who’s responsible for it? I don’t know. All I know is that Saigon wasn’t for me, and that’s okay. Was it the food? I mean, I like Hanoi food better, but I don’t hate theirs. Was it just the city itself? Maybe. I don’t find Saigon’s energy as charming as many others said it is. But I mean, maybe we just didn’t give each other a chance. Maybe it was just the timing. Either way, it’s fine. I can’t love all places I visit. You can’t win them all. All you can do is learn from them. Previous Post The Answer To Traveling Lighter Is Here: Anywhere Apparel + A GIVEAWAY! There are certain cities that just do not resonate, made worse by a scam. Good life lesson. Was the taxi company Mai Ling or Vinasun? I used them several times in Vietnam and was never ripped off. Interesting! I feel the opposite way, didn’t like Hanoi because of a cab incident and then am loving Ho Chi Minh. I also like the food better in Saigon than undid in Hanoi and find the people friendly the further south I went! But having talked to so many people traveling Vietnam I’ve learned that it’s all very personal and no one can agree on which part of the country is better! It’s so amazing to me how personal travel is. And I think that’s what makes it really special! Omg yes, he specifically dropped me off a little further away from my hostel. I thought of it long and hard and I didn’t want him to drive away with my stuff! I also overpaid for my airport ride in Hanoi but it was also late and there was really no point in arguing that time because I was too tired. OHemge!! 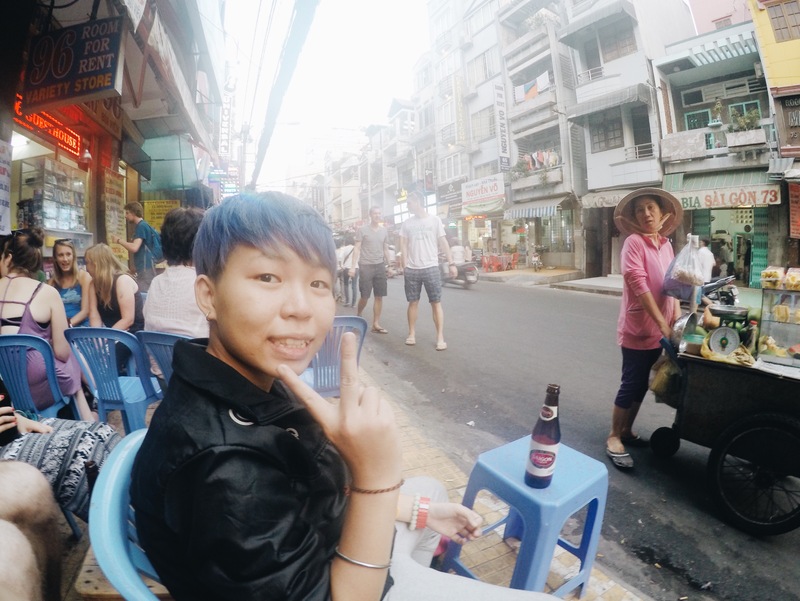 I went also to Vietnam, specifically Saigon last month. In contrast with your post i my own opinion i like Saigon though i haven’t been in Hanoi. I love the idea that it has a lot of parks to hang out, so many trees even though it’s a city they really preserved their nature except those black river when it rains (so nasty) and in every corner there are a lot of coffee shops also instagram worthy. Anyways i love reading your experience. Thank you, Ann. I’m sure it was partly my fault as I let my little scam experience become a hindrance to embracing everything Saigon has to offer. I agree, Alice! I think that’s what makes travel special. I live here now. I hear you, I almost got jacked out of my wallet during CNY. But it’s the city where I was born and the city I spent my childhood in. It’s better than the scammers and hustlers and I hope you get a chance to give it a chance again. It could surprise you. I would definitely love to give it another chance. I’m sure I was just not in the best disposition at the time, which affected our chemistry. I’ve walked the street of HCMC for almost two months and not felt anything but love, the issue with any city is that there will always be someone who wants to pocket something extra. In Hanoi, a grape seller wanted me to fork out $10 for a handful of grapes so I walked away. I agree with that. I don’t mind giving HCMC another try though, it is a charming city and I love how traditional it is compared to Hanoi’s hints of colonial past. In the end, I still hope it wasn’t really all bad and it didn’t go so downhill from there. We all have a string of bad luck once in a while, just like what I experienced in the very city that I love when I first went there. For what it’s worth, these are all learning lessons and if you go visit that city again (if that’s even in your plan), you know better at what to do. 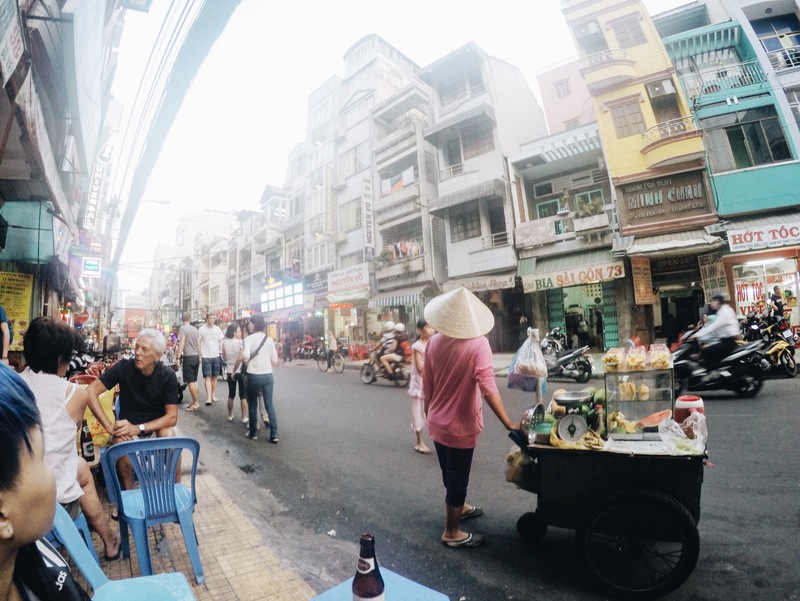 I love Vietnam as a whole, with both Saigon and Hanoi holding special places in my heart. Sadly, I think that the bad experience has coloured the experience and you know what?